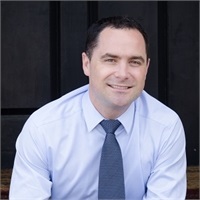 Ben Decker | Consolidated Planning, Inc. I am a graduate of the College of Charleston with a Bachelor of Science degree in Psychology. Like many others, I decided to call Charleston, SC my permanent home after graduating. And for the past decade I have provided financial strategies for individuals, families, medical professionals, and business owners throughout the country. I enjoy spending time with my wife, Kylee and two children. I also have a passion for music, devoting many of my weekends to performing at weddings and various events throughout the Charleston area.